Very tiny glitter with multicolor (pink, golden, green) shine. Gently rub the glitter on the nail dispensive layer and let the nail look like mermaid shining at the seasun. Quantity in the jar: 3g. Chrome pigment for a perfect mirror look of the nails. Quantity 1g. For best result, we recommend to apply chrome pigment on black blackground (for example Black color gel). 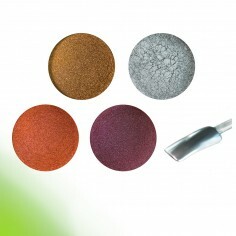 But it is also possible to use chrome mirror pigment of other background (incl. transparent). Glow In Dark color gel with a special glitter effect makes the nails in the dark to an absolute highlight. Curing time: 2-3 minutes in UV lamp 36W. Before usage mix the gel thoroughly. New LED gel cured in LED lamp in 30 seconds and in regular UV lamp in 2 minutes. LED gel has middle thickness and is suitable for building the nail, including with nail forms. We recommend to use LED gel with shining gel Diamonder that also can be cured in LED lamp. High quality color gel with medium thickness that covers the nail plate with one layer. Brilliant color intensity and long lasting high gloss with beautiful glamourous shine. Gel is in acrylic jar. This color gel belongs to "chic" series where we have gathered our most chic and highest quality products. French White is designed for making white French Manicure ending. 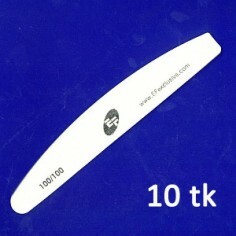 Very thin consistence, ideal cover nail edge with two thin layers. Cure every layer for 2 minutes in 36W UV lamp. Do not heat during curing. Leaves sticky layer. This gel belongs to "chic" series where we have gathered our most chic and highest quality products. New Rainbow gel polishes change their colour according the temperature they are exposed to. You get a great range of colour variation on your finger tip. Rainbow gel polish can be applied on both - natural and artificial nails and can be soaked off with Soak off Remover or acetone. Click "More details" and watch video on how to use Rainbow gel polishes. New LED builder gel cured in LED lamp in 30 seconds and in regular UV lamp in 2 minutes. LED gel has middle thickness and is suitable for building the nail, including with nail forms. We recommend to use LED gel with shining gel Diamonder that also can be cured in LED lamp. Builder Pink is a 1-phase rather thick UV gel with a transparent pink color. Sensational adhesion, good self-leveling properties. Recommend for French Manicure and nail art blending. Also suitable for using with nail forms. Shining gel with a strong grip to the nail, transparent with a beautiful shining pearl effect. 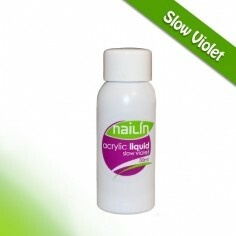 Protects nails from discoloration and yellowing. Apply thin layer as the last on gel or acrylic nails. Cure in UV lamp 36W for 2 min. Clean the last layer. 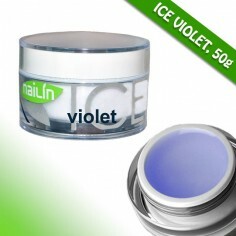 Shining gel with very strong grip to the nail, transparent with a little violet shade. Protects nails from discoloration and yellowing. Thin layer should be apply as the last on gel or acrylic nails. Cure in UV lamp 36W for 2 min. Clean the last layer.